People often groan at the thought of maintaining machinery and other company assets through repeated servicing and audits. However, it can literally be the difference between life and death. We think it is so important to not neglect the little tasks that we have prepared a list of why it is vital! As you continue to keep a regular schedule of servicing happening, you are actively reducing the risk associated with using faulty equipment. If company assets are not being properly cared for, then this greatly increases the likelihood of accidents, incidents, injuries, or even deaths occurring. You can also be more confident that your employees will be safe in an emergency. Emergency drills are another way to make sure that all your systems and alarms are working as they should, and that your staff know exactly what they need to do in the case of an emergency. By setting a regular schedule for these and assigning a person or group of people to be responsible for their occurrence, you are taking accountability for the lives of those on your site and again also reducing risk. If your company is not keeping up to date with the necessary laws and requirements when it comes to audits, maintenance and servicing, then you are far more likely to run into legal trouble when something goes wrong. Equipment that is not serviced and results in an incident occurring could easily create issues with your insurance company and potentially even the law. On the other hand, if something occurs but you have kept everything up to date and can prove it because all your documentation is in one centralised and easy to access like Rapid Global workplace audit software then you will be in a much better position to handle any subsequent actions that are taken. Less incidents equals happier clients. The more you can show your clients that your company is able to take care of all assets in your care, the more likely they are to be impressed with you and continue to use your services. Including hazard reporting and workplace incident reporting software to your company’s repertoire can improve safety, reduce risk and let your employees and contractors get on with the job. This is particularly the case when clients or contractors of your clients are frequently at your site, or have company assets located with you. Not only that, but they will then also be more likely to promote your company to others! However, despite all these perfectly good reasons to have a good servicing schedule and regular audits, it still doesn’t detract from the fact that it takes time. As such, the question of how all these things are going to get done looms overhead. That is why having an online, centralised system to organise this type of work for you is so critical to your company. Using Rapid Service Alert from Rapid Global enables you to set up a schedule for maintenance tasks, audits, emergency drills and other service tasks. 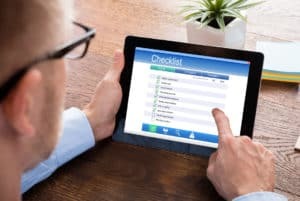 You can also assign these tasks to the correct personnel, track their progress, and easily view reports to see what has and has not been done yet. Have peace of mind that all company assets are being serviced and necessary audits are being conducted. Read about how Allied Pinnacle successfully used Rapid Service Alert to schedule and manage inspections as well as schedule safety and environmental audits across their 24 sites. They also used it in conjunction with our range of EHS products including Rapid Induct and Rapid Contractor Management to increase their overall company efficiency.